Starting repairs in the apartment, the main focus isin the main room in the house as a living room or bedroom. 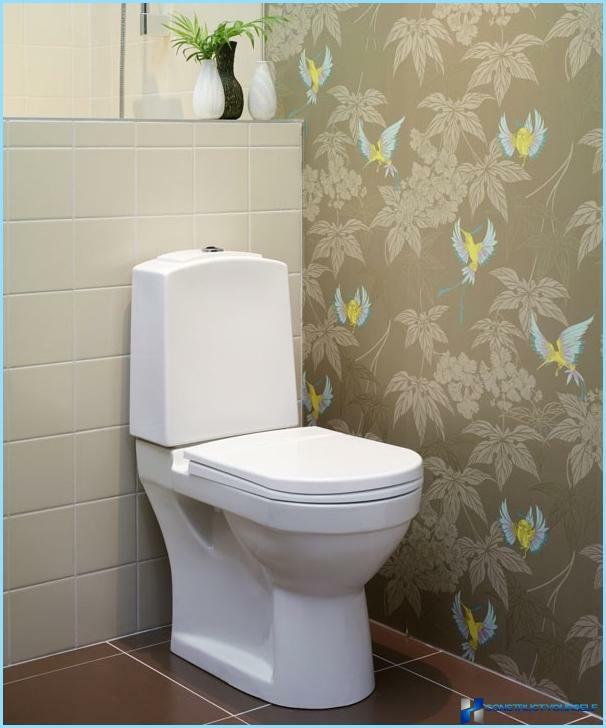 Repair toilet often leave for later, because it has not put forward a large number of requirements. Wednesday is not such an aggressive, such as in a bathroom or kitchen. 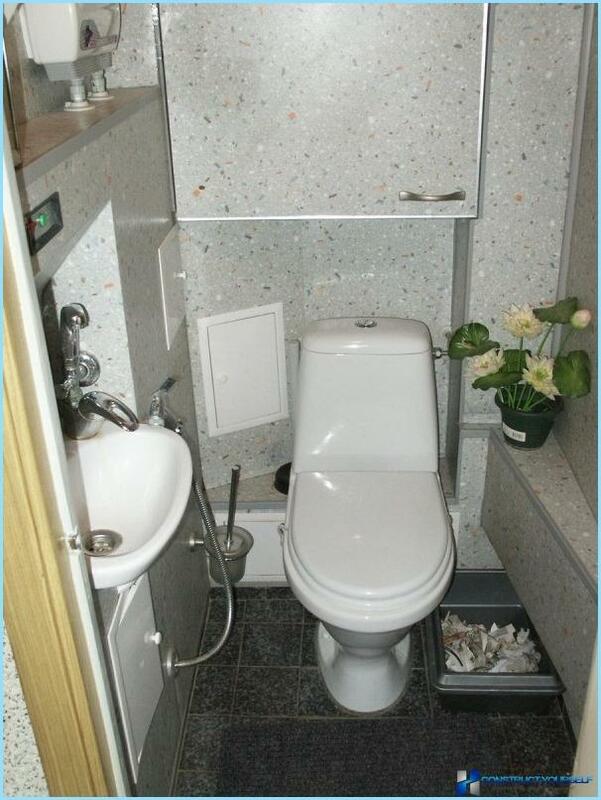 But there is one significant complexity, namely a small space. 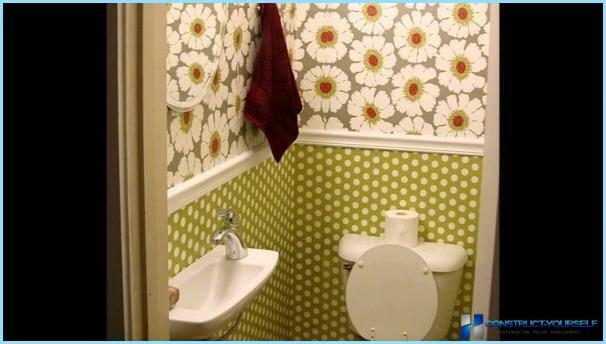 Most of the material for the walls,significantly reduce space, and if in the case of, for example, with a living room is permissible, then close the toilet every centimeter counts. 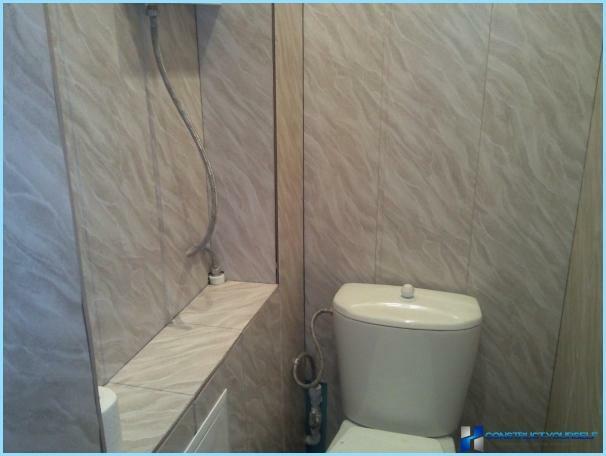 That is why the decoration of bathrooms and toilets PVC panels - is the most common option. 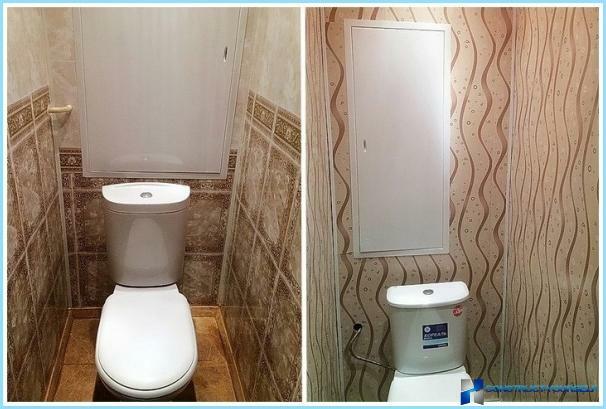 The video shows how simple decoration pvc panels can transform a toilet room. PVC panels can be mounted at a minimum distance from the wall. In total, after the finish of the walls, the room will lose only 3-5 cm. Plastic is not afraid of wet cleaning and detergents. Plastic panels much cheaper than most of the finishing materials. A huge variety of colors and patterns. Decorating the bathroom with their hands, even in the absence of special skills will only take a few hours. To work with the panels do not need to align the walls. They hide all the irregularities and errors builders. 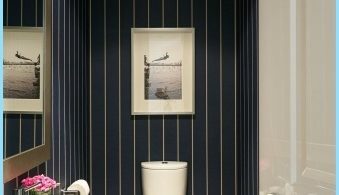 Unfortunately, like any other material from PVC panels have a number of disadvantages, which are also necessary to pay attention when choosing a finish for the toilet. Unlike wallpaper and paint, pvc panel still be taken away from the room a few centimeters. Despite the fact that vinyl ignition is low, it releases during melting caustic, toxic smoke. low quality PVC, easily damaged. And they need to be replaced. As you can see, the shortcomings, still less. And positive qualities clearly win. But in order for a new repair is not brought disappointments, you should know a few rules to be followed in the selection of PVC panels. At first sight, the PVC panels are only a picture, but this is misleading, the plastic quality can vary significantly depending on the manufacturer. pvc panel should be soft. Quality plastic can be bent to an angle more than 90 degrees. You can bend the panel slightly until you feel tension, the greater the angle, the better. Fixing groove must be free to bend without breaks, and take its original position when you release it. Panels should not make obvious odors. Tangible smell of plastic - a sign of poor quality production. The next aspect that must be considered -This panel width. It can be from 12 to 35 cm wider than segment, the need to carefully align the crate. 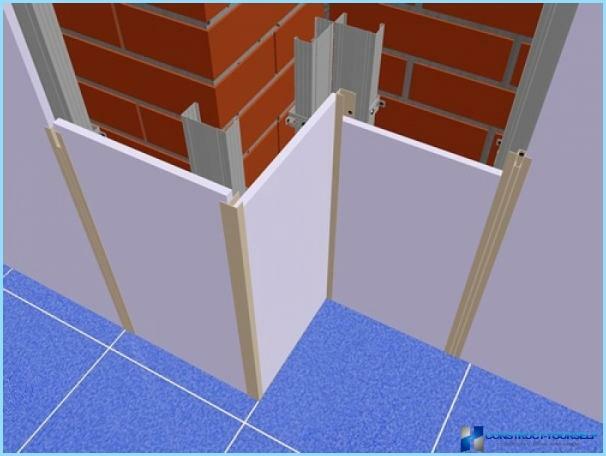 The best option for the walls is considered to be less than the width of 25 cm. Council! Panel width greater than 25 cm can be used on the ceiling. There's a slight imbalance would not be so noticeable. When these two factors are taken into account, you can proceed to the choice of color and pattern. 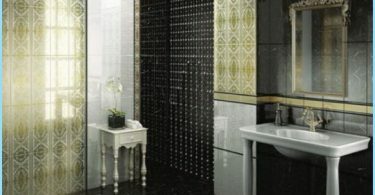 Here already all depends on personal preference and style of the interior of the apartment. 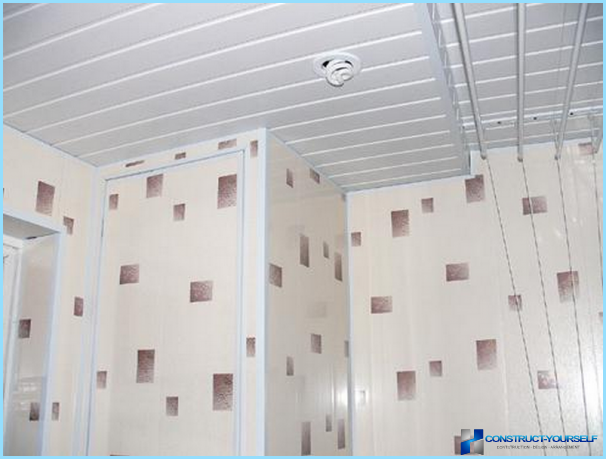 Decorating the bathroom PVC panels will not take a lot of time, more complex and responsible process - is the production of lath, to which will be attached and panels. 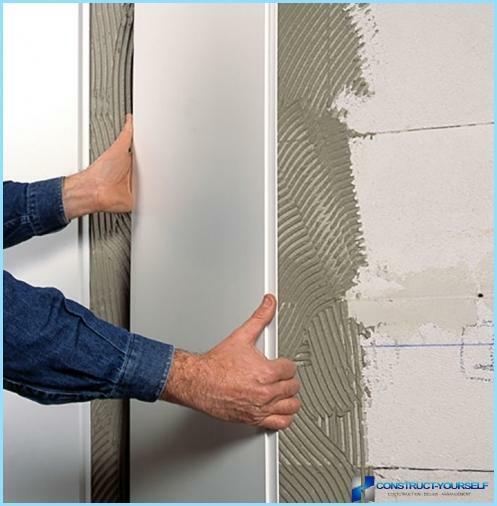 If the walls are perfectly aligned, or madeplaster, the panel can simply be glued to the wall without sheathing. Such method saves space, but the surface will have a pre-primed. Saws for wood and plastic (suitable for metal, with a fine tooth). Punch or drill with a bang mode. For manufacturing the lath is bestuse a wooden beam thickness of 1.5-2 cm for pvc panels is quite enough and he did not steal a lot of space. Before you start to strengthen its timber must be treated impregnation, which will save him from the formation of mold and mildew. In the first place with the help of punch and dowels,fixed upper and lower straps. The bottom should be positioned parallel to the floor and at a minimum distance from the floor. The top on the ceiling, but with the future of the ceiling trim. Other bars are also mounted horizontally spaced approximately 30 cm. Council! Mem smaller the distance between the bars sheathing, the panel will stay stronger. 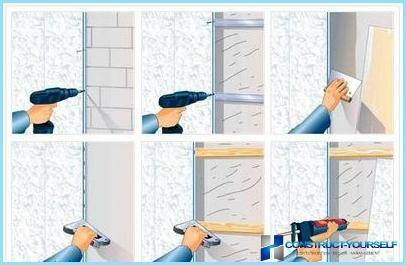 In these places, you need to install the small bars that later when drilling holes in the plastic does not damage it. When working with wood finished, setdecorative corner in the left corner of the room, it will start from the installation of the panels. To set the corner better to use staple gun, but if it is not, suitable for furniture nails. In size they resemble shoemaking, but have a wider clamping hat. Mounts Corner 5-6 equidistant locations,that is enough. If during the installation, there will be a slight curvature, you should not pay attention to it, then it straightened panel. The most difficult stage of finishing PVC panels behind the toilet. Begin the installation on the left side by inserting a plate, a comb in the area. The first segment should be set at the level of construction, then it does not need. Once the panel is exposed in the slot bracket petal pierce staple or nail. Fasteners made in each bar along the entire height. Then set the next segment and is mounted in an identical manner. To clearly understand how the production of the frame and mounting panels, you can see the video. For clarity, the wizard shows the process on a simple wall, and every nuance can be clearly seen. Important! Reaching the places where are the bars for mounting accessories, they must be marked with a pencil to subsequently search for a place through the established panel. Thus it is made to mountnext corner. Extreme panel trimmed across the length and dress before installing it on the corner. It will be fixed for the next wall, from the following segments will. The most difficult finishing work place - iscommunications. In order to close the pipe pvc panels, it is necessary to make a wooden box, which will be fixed and the panel. Sometimes these structures is going make larger than required, then the decorative frame can be more and more shelf. Fixing panels on the box is no differenton the walls, stand only difference is that the fasteners produced not in a groove, and the body of the panel itself, as close as possible to the edge, then this place will close decorative accessories. Council! 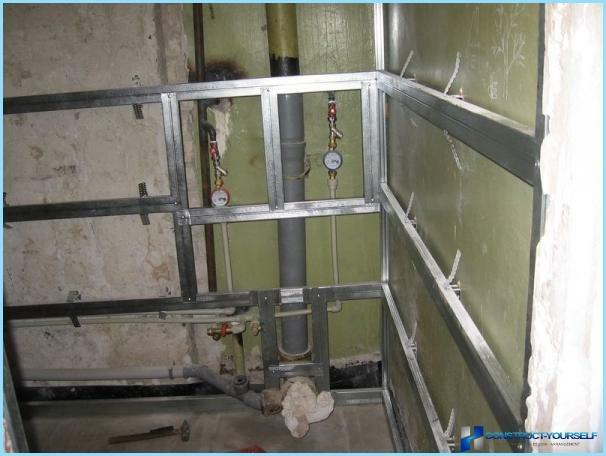 ducts for finishing better use external corners which do not fit over the panel, and are attached thereto by adhesive. 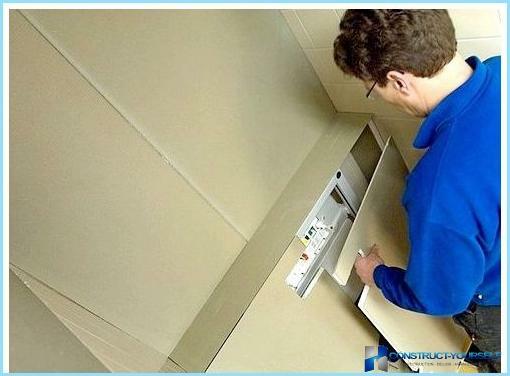 The important point for finishing Communications - isremember valves and counters that can be placed in the toilet. Access to these sites should not be limited, so you have to make small or door that is not so simple, or keep these places open. After the work is completed the walls may bemove towards the ceiling. The principle here is the same, with the only difference being that it is not necessary to install the corners, their role will then be to carry out ceiling plinths. Council! To the room lookedsymmetrically, the distance can be calculated so that the seam panels held exactly in the middle. In this case, it will have to cut off not one but two end panels. Finishing the ceiling, it is important to be aware of lighting fixtures. The holes in the appropriate places to better drill floor before the panel is mounted. And during installation, the wire openings are output. When the ceiling and walls are completely finished,left to do the finishing touches, namely to fix skirtings. In stores you can find special plinths for pvc panels, they have a groove, which is fixed on top of the panels, but to work with them will have to carefully calculate the height of each segment. Therefore increasingly using ordinary plastic skirting boards, which are simply placed on a construction adhesive. 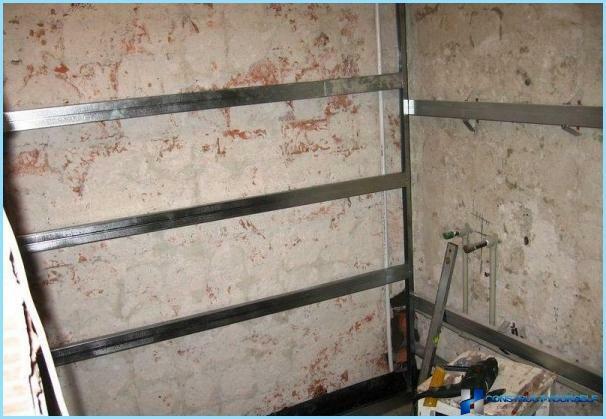 Working with them is much easier and is not required to carry out complex calculations and measurements of each panel. 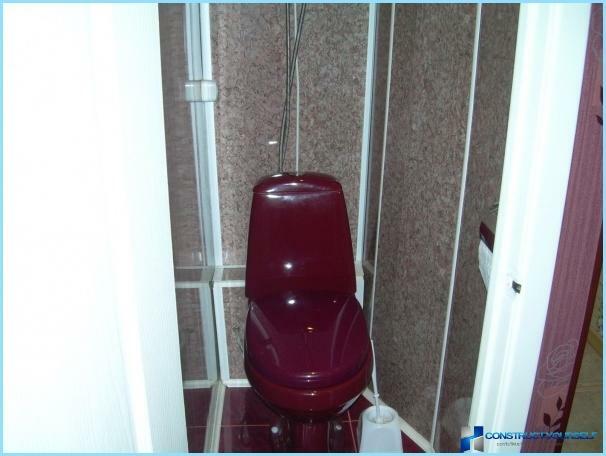 The last thing lighting fixtures are connected and that the toilet repair can be considered complete. 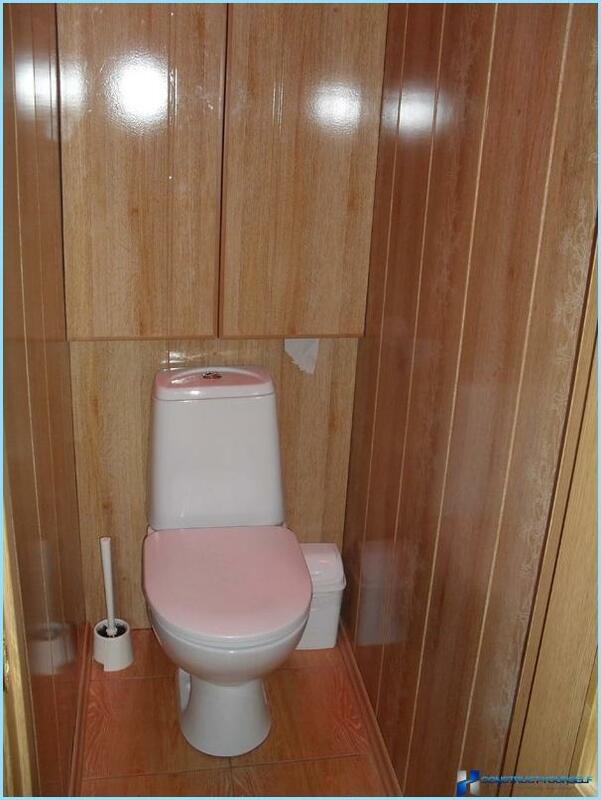 As you can see, the modern toilet finishing panelsPVC - it is quite a simple process, which handle any. To do this, you need to have construction skills or experience, just enough to buy everything you need and follow the instructions.